Lisa White is a Senior Attorney at Greg Coleman Law PC working in the areas of complex litigation, class action cases, and wage and hour class and collective actions. She joined Greg Coleman Law in 2014. 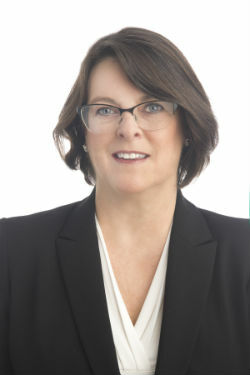 Her primary areas of practice are product defect class actions (representing consumers who have purchased products that are defective but a corporation refuses “do the right thing” by recalling or repairing the defect, or reimbursing the consumer for damages caused by the defect) and fair wage cases (representing current and former employees against businesses that routinely violate the Fair Labor Standards Act and state wage laws). She has taken a lead role in a number of wage related class actions in the airline industry, which are especially complicated by the intersection of interstate travel, airline regulations, the Railway Labor Act, and the dormant Commerce Clause. Almost all of the cases she works on are filed in the federal court system, both in the District Courts and Circuit Courts of Appeals. 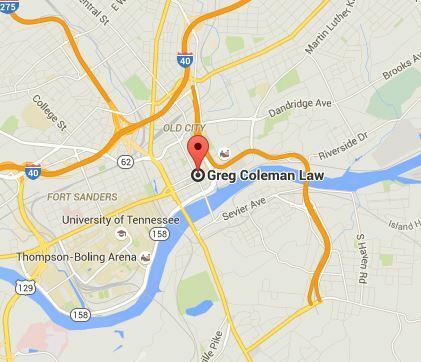 Prior to joining Greg Coleman Law, her law practice included extensive trial and appellate experience. A writer and researcher at heart, Lisa returned to law school after completing her Bachelor’s in Sociology and Masters in Sociology from The University of Tennessee, and teaching for a number of years at several universities. Just prior to entering law school, she completed the coursework for her PhD in American Studies at The College of William and Mary. Lisa is a graduate of The University of Tennessee College of Law. While at The University of Tennessee College of Law, Lisa was a Co-Coordinator of Tennessee Innocence Project, the Research Editor for Tennessee Journal of Law and Policy, and practiced in both the Domestic Violence Clinic and the Advocacy Clinic. As a student, Lisa won first place in the American Bar Association's Commission on Domestic and Sexual Violence Student Writing Competition for her paper: “Unlikely Bedfellows: The Intersection Between The Defense of Marriage Act(s) and Domestic Violence Prosecution.” Lisa has had a number of papers published in peer-reviewed journals in law as well as in other academic fields including sociology and history. In Spring 2018, an article she wrote on South Dakota v. Wayfair, Inc., a case that was pending before the U.S. Supreme Court at the time, was published in Dicta, a publication of the Knoxville Bar Association. Ms. White has been selected by fellow members of the Knoxville Bar as a "Top Attorney," an honor which was described in CITYVIEW Magazine's annual Top Attorneys’ issue. Lisa and her family are avid travelers and she has visited all seven continents. In addition, she has worked remotely to Greg Coleman Law PC while living outside of the country. Practice Areas: Class Actions, Fair Labor Practices (including litigation in the airline industry), Consumer Protection/Consumer Rights, Multi District Litigation, Business Litigation, Product Liability, ERISA.